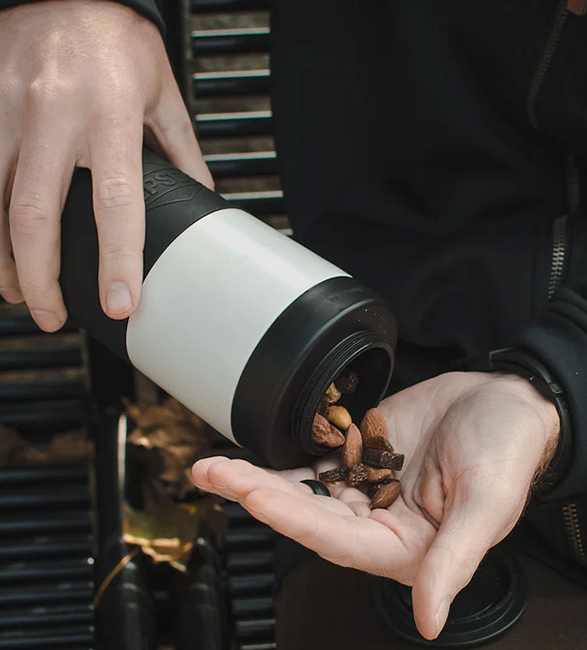 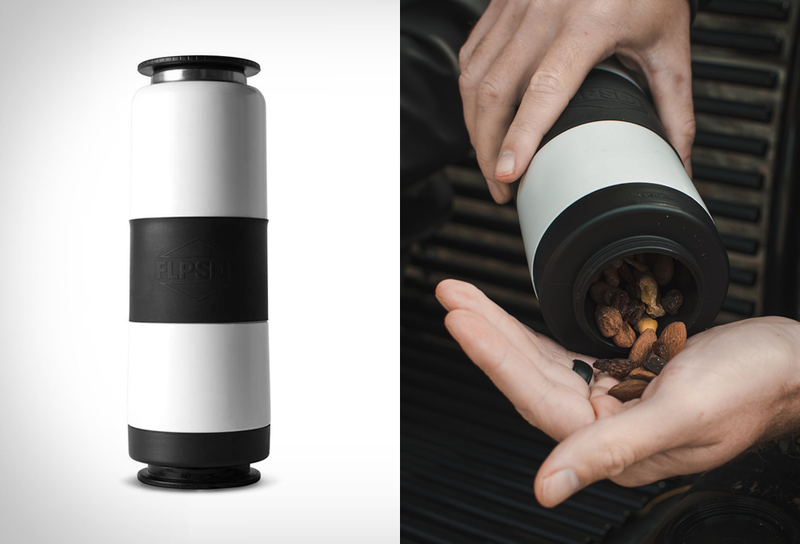 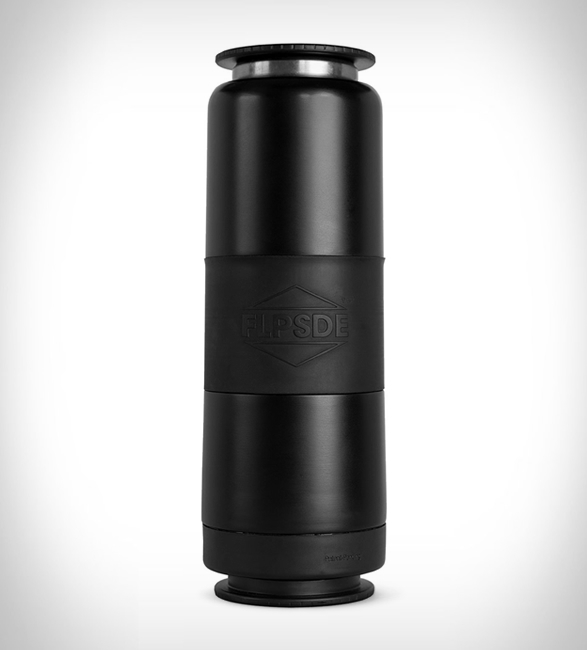 FLPSDE features a unique dual-chamber design that lets you conveniently carry your drinks and snacks in the same container. 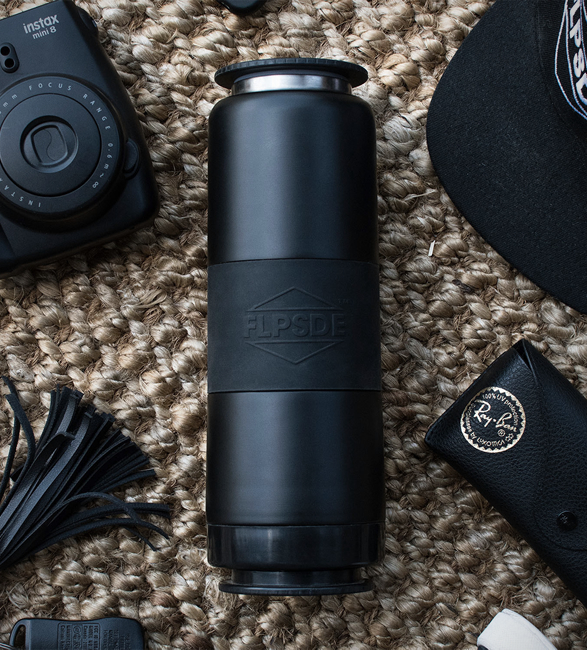 Made from heavy-duty stainless steel to keep contents safe and tasting how they should, FLPSDE is equipped with a durable, vacuum insulated outer chamber (20-ounce capacity) that keeps your drinks hot or cold for hours, and a smaller inner chamber (7-ounce capacity) designed to hold your favorite snacks, drinks, or personal essentials with ease. 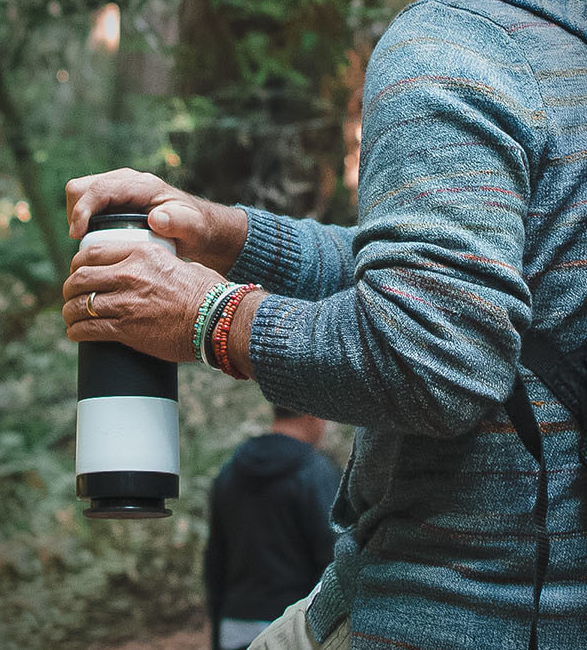 The innovative water bottle also provides a durable silicone band, offering the ideal amount of grip while you hold it.